Adirondack Museum Curator Hallie Bond will present a program on the history of food in the Adirondacks, particularly the connection between bread and beer. The program, called “Traditions in Bread and Beer: Lives of Adirondackers Before Modernization,” will involve discussion and displays- participants will be able to sample both ingredients and final products. Bond is co-writing a book about traditional food of the Adirondacks and has discovered connections between bread and beer- the two were complementary tasks for early Adirondackers. Her presentation will address how they were made before World War II and how transportation networks, particularly railroads, were established. Bond has been a curator at the Adirondack Museum since 1987. 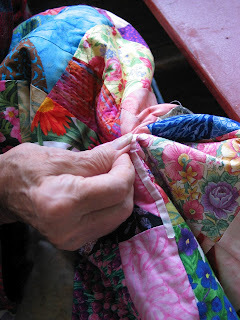 She has curated a number of popular exhibits including &#8220Common Threads: 150 Years of Adirondack Quilts and Comforters,&#8221 &#8220A Paradise for Boys and Girls: Children’s Camps in the Adirondacks,&#8221 and &#8220Boats and Boating in the Adirondacks.&#8221 She has written extensively about regional history and material culture. The program will be held from 3 to 5 pm on November 10 at the Adirondack Interpretive Center (AIC) in Newcomb. The AIC is a branch of the SUNY College of Environmental Science and Forestry’s Northern Forest Institute. For more information contact the AIC at 518-582-2200 ext. 11 or by email at aic@esf.edu. The Adirondack Museum will host its 25th Annual Rustic Furniture Fair on Saturday, September 8 and Sunday, September 9 in Blue Mountain Lake. Renowned artisans from throughout the United States will showcase and sell their one-of-a-kind pieces of furniture, furnishings, and artwork. The show will be open from 10 a.m. until 5 p.m. Saturday and from 10 a.m. to 4 p.m. Sunday. Visitors interested in an early buying opportunity can visit on Saturday, September 8 from 8 a.m. to 10 a.m. Tickets will be available at the door, and are available now online. 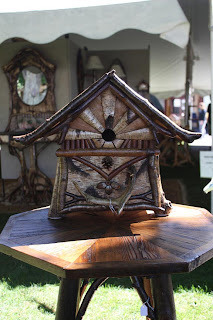 The Adirondack Museum’s Rustic Furniture Fair is recognized as the premier event of its kind in the country. This gathering of talented artisans includes both traditional and contemporary styles of furniture design, handcrafted from natural materials. A list of the sixty participating artisans can be found on the museum’s website. Demonstrations of furniture making and painting will take place throughout the weekend. Exhibitors will answer questions about their work, or discuss custom made pieces. In celebration of the 25th or Silver Anniversary of the Rustic Fair, more than twenty-five artisans have elected to design and create a unique commemorative piece for this year’s show. Each piece will bear a tribute plaque. A portion of the proceeds from the sale of the commemorative pieces will benefit the museum. In addition, there will be a very special silent auction happening during the Fair featuring the works of Barney Bellinger, Randy Holden, Larry Post, Russ DeFonce, Jonathan Swartwout, Bill Perkins, Rick Pratt and Bob Jones. Winners will be announced Sunday, September 9 at 3 p.m. Proceeds will benefit the Adirondack Museum. Music throughout the weekend will be provided by Intermountain Trio. They will be releasing their second album &#8220Can’t Find the Words&#8221 at the Rustic Fair this year. Intermountain Trio will be playing starting at 9 a.m. on Saturday, September 8, and at 10 a.m. on September 9. 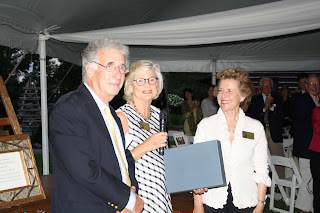 The Board of Trustees of the Adirondack Museum formally presented the Harold K. Hochschild Award to John and Margot Ernst at their annual Gala Benefit on July 28, 2012. The Adirondack Museum, accredited by the American Association of Museums, offers 65,000 square feet of exciting exhibitions housed in twenty-two modern and historic buildings. Visitors can explore how people have lived, worked, traveled, and played in the Adirondacks from the 19th century up to today. The museum is supported in part by public funds from the New York State Council on the Arts, a State Agency. For additional information, visit www.adirondackmuseum.org or call (518) 352-7311. Photo: (l-r) John Ernst- Nancy Keet &#8211 Chair, Harold K. Hochschild Award Committee- and Margot Ernst. The fur trade comes to life at the Adirondack Museum this weekend, Friday, August 17 and Saturday, August 18. Join the museum and educational interpreters in period dress as they showcase a variety of survival skills at the annual American Mountain Men Encampment. Visitors will see colorful demonstrations of tomahawk and knife throwing, campfire cooking, firearms and shooting, and fire starting. There will be displays of pelts and furs, clothing of eastern and western mountain styles, period firearms and much more. Mountain men are powerful symbols of America’s wild frontier. Legends about the mountain man continue to fascinate because many of the tales are true: the life of the mountain man was rough, and despite an amazing ability to survive in the wilderness, it brought him face to face with death on a regular basis. The American Mountain Men group was founded in 1968. The association researches and studies the history, traditions, tools, and mode of living of the trappers, explorers, and traders known as the mountain men. Members continuously work for mastery of the primitive skills of both the original mountain men and Native Americans. The group prides itself on the accuracy and authenticity of its interpretation and shares the knowledge they have gained with all who are interested. Participants in the museum encampment are from the Brothers of the New York, Vermont, New Hampshire, and Massachusetts segment of the national American Mountain Men organization. 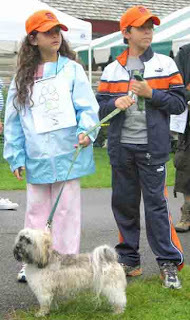 Participation in the encampment is by invitation only. 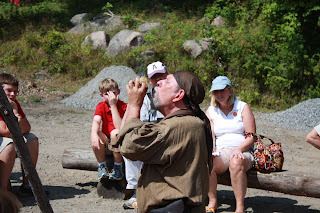 All of the American Mountain Men activities and demonstrations are included in the price of Adirondack Museum admission. There is no charge for museum members. The Adirondack Museum is open 7 days a week, from 10 a.m. &#8211 5 p.m., through October 14. The museum will close at 3 p.m. September 7 for special event preparations. One hundred fifty years ago this country was torn apart by a great civil war. The Adirondack Museum will host a weekend dedicated to remembering the Civil War in the Adirondacks, the men who fought it and their loved ones at home, this Saturday, July 21 and Sunday, July 22. In the Adirondacks many young men, boys really, left their hard scrabble farms and small towns for the first time in their lives to enlist. Learn what their thoughts were as they marched off to war and how they reacted to the horrors of war. Hear what it was like for the wives, children, mothers and father that they left behind, as well as the lasting impact of the war on the small towns in the Adirondacks following the war. Pearsall spent two years researching the Civil War veterans from Johnsburg in the southeastern Adirondacks before preparing this special program based on letters and journals (which will be read by a Civil War re-enactors in uniform). The presentation will also include over 100 historic photographs of soldiers and battlefield scenes. &#8220Each member of the audience will be given a name of a soldier from the Adirondacks who fought in the war and will ultimately find out if they survived the war,&#8221 he told the New York History. Pearsall’s presentation will focus on men serving with the 22nd New York (one of the first to respond to President Lincoln’s call to arms and recruited in Warren and Saratoga Counties), the 93rd (recruited from Essex, Fulton, Hamilton and Warren Counties who suffered horrific losses in the contest between U.S. Grant and Robert E. Lee), the 96th or &#8220Plattsburgh Regiment&#8221 (recruited primarily from Clinton County), the 115th (recruited from Hamilton and Fulton Counties) and the 118th or &#8220Adirondack Regiment&#8221 (recruited from Clinton, Essex and Warren Counties, the first regiment to enter the Confederate capital in Richmond on its fall). Pearsall will also explain a special Adirondack link to the capture of John Wilkes Booth, assassin of President Abraham Lincoln. The &#8220Adirondack Regiment&#8221 will also be the focus of the weekend-long encampment at the Museum. Mustered into service in August 1862, over one thousand North Country men served in the unit. Re-enactors will camp at the museum and share stories of camp life, and what it was like to be a soldier in the Civil War. Visitors will learn about the 118th assignments and movements, the battles they fought in, and the historic moment when General Robert E. Lee surrendered at the Appomattox Court House. President Lincoln will be portrayed by John R. Baylis, who has appeared as the 16th President of the United States at Gettysburg, Antietam, Cedar Creek, Ottawa, and as far south as Key West. Pearsall’s presentation will be held in the Auditorium at 7:00 p.m. The program will be offered at no charge to museum members- the fee for non-members is $5.00. For additional information, please visit www.adirondackmuseum.org or call (518) 352-7311. 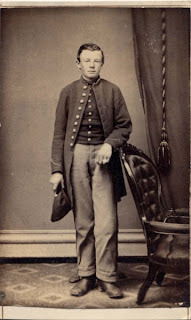 Photo: A volunteer infantry soldier of the 118th &#8220Adirondack Regiment&#8221 (circa 1863, courtesy Adirondack Museum). The Adirondack Museum has announced the presenters and lecture topics for the annual Monday Evening Lecture Series. Join the museum for the lecture series Monday nights at 7:30 p.m. in July and August. The first evening, July 9, will be spent with Wildlife Conservation Society senior conservationist Bill Weber. Weber will present &#8220Out of Africa and Into the Adirondacks: A Conservation Journey&#8221 lecture. Lectures continue on July 16 with Charles Yaple and &#8220Foxey Brown: The Story of an Adirondack Outlaw, Hermit, and Guide&#8221 lecture- July 23 with photographer Eric Dresser and &#8220Capturing Adirondack Wildlife in Pictures-&#8221 July 30 with Environmental Historian Phil Terrie and &#8220Green Fire: Aldo Leopold and A Land Ethic for our Time&#8221 a film, commentary and discussion. August begins with author Harvey Kaiser and &#8220Great Camps of the Adirondacks: Second Edition&#8221 on August 6- August 13 with senior art historian Caroline M. Welsh and &#8220A.F. Tait: Artist of the Adirondacks-&#8221 and will end on August 20 with rustic furniture artisan and painter, Barney Bellinger’s &#8220Art, Furniture and Sculpture: Influenced by Nature&#8221 lecture. The presentations will be offered at no charge to museum members- the fee for non-members is $5.00. For full descriptions of the lectures, visit www.adirondackmuseum.org. The Adirondack Museum is open 7 days a week, from 10:00 a.m. &#8211 5:00 p.m., through October 14. The museum will close at 3 p.m. on August 10 and September 7 for special event preparations. 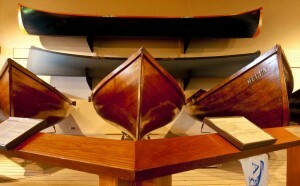 The Adirondack Museum will launch a new audio tour when museum reopens for its 55th season on Friday, May 25, 2012. Year-round residents of the Adirondack Park are invited to visit free of charge every Sunday, and on all open days in May and October. Proof of residency such as a driver’s license, passport, or voter registration card is required. This year, visitors will be invited to take a fresh look at the Adirondack Museum using the new audio tour. 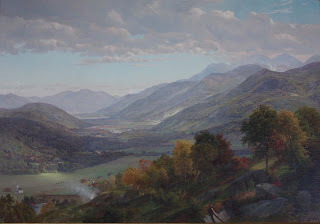 The voices of real people who live in the Adirondacks today will guide visitors to a deeper understanding of the museum’s exhibitions, it dramatic setting, and what makes the Adirondacks unique. Adirondackers’ personal stories will be related by many including: Kevin Bacon, actor- John Collins, Blue Mountain Lake Resident- Martha Foley, News Director, NCPR- Allison Warner, boat builder- Dan Moore, logger- Steven Tucker, farmer- John Fadden, Six Nations Indian Museum- Marty Podskoch, author- Phillip Terrie, author and Environmental Historian, and many more. You can preview the tour online. The audio tour will be offered free of charge to visitors with museum admission. The tour will be available via Acoustiguide Audio portable devices and as a downloadable app for smartphones. The Adirondack Museum is open 7 days a week, from 10:00 a.m. &#8211 5:00 p.m., through October 14. The museum will close at 3 p.m. on August 10 and September 7 for special event preparations. The museum, accredited by the American Association of Museums, offers 65,000 square feet of exciting exhibitions housed in twenty-two modern and historic buildings. Visitors can explore how people have lived, worked, traveled, and played in the Adirondacks from the 19th century up to today. The museum is supported in part by public funds from the New York State Council on the Arts, a State Agency. For additional information, visit www.adirondackmuseum.org or call (518) 352-7311.